Graco Children’s Products has been fined $10 million after it failed to provide what the Transportation Department (DOT) calls “timely notification” of a defect in more than 4 million car seats. According to DOT Secretary Anthony Foxx, the company must pay a fine of $3 million to the federal government immediately to the Federal Government, with an additional $7 million due in 5 years the company spends at least the same amount on new steps to improve child safety. The penalties close an investigation launched last year into whether Graco failed its obligations, under the National Traffic and Motor Vehicle Safety Act, to begin what ended up as the largest ever recall of child seats. The seats had buckles that could stick or become stuck in a latched position, potentially placing child occupants at risk in an emergency. Graco will create a plan and procedures for addressing certain targeted performance requirements, which may include methods to increase effectiveness of consumer product registration of car seats, which allows parents to be notified of defects, identifying potential safety trends affecting car seats industry wide and launching a child safety awareness campaign. According to the National Highway Traffic Safety Administration (NHTSA), on average, only 40% of people who have recalled car seats get them fixed, compared with an average of 75% of people who have recalled light vehicles, for which registration is required by law. The company also must provide certification from an independent, third-party that it has met its cost obligations. If Graco fails to meet those obligations, it must pay the balance of the $10 million civil penalty. The National Traffic and Motor Vehicle Safety Act states that once a manufacturer knows or should reasonably know that an item of motor vehicle equipment -- such as a car seat -- contains a safety related defect, the manufacturer has a maximum of five business days to notify the agency. Once it notifies NHTSA of a defect, it is required to launch a recall. Under the consent order, Graco admits that it did not provide the required defect notice. 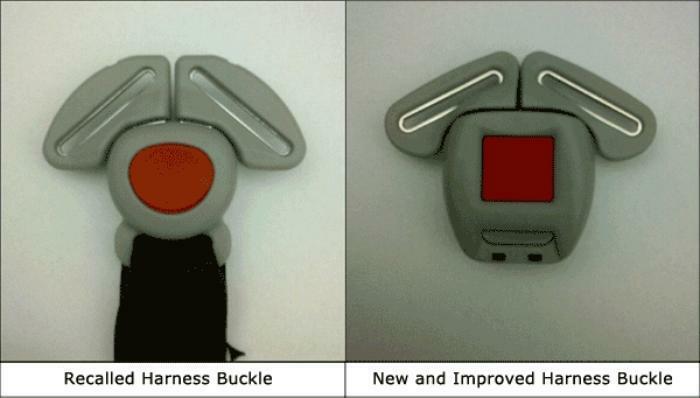 Under pressure from NHTSA, Graco recalled more than 4 million convertible and booster seats with defective buckles in February 2014, and nearly an additional 2 million rear facing infant seats in June. Improving its assessment and identification of potential safety defects. Creating a scientifically tested program to increase effectiveness of child seat registration programs. Revising its procedures for addressing consumer safety complaints and speed the recall of defective products. Launching a campaign to disseminate safety messages to parents and caregivers by producing media products to incorporate in child safety campaigns.